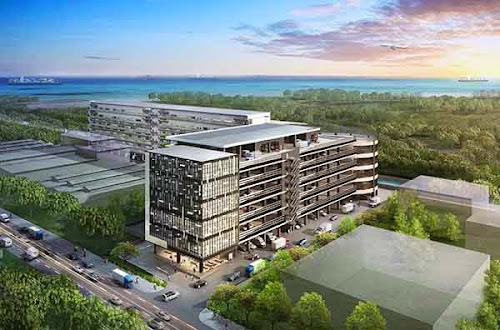 Loyang Enterprise Building is set to rise at the heart of Loyang Way, unveils a vibrant way of living that is specular, splendid and sensational. This project is a new B2 Industrial at 56 Loyang Way, it comprises of 102 units that includes a canteen. TOP is expected to be in 2018. It is a completely integrated one stop-centre that contains mix of wellness facilities. using its wonderful and gorgeous feature that provides you to enjoy while working. This is the ideal place to expand your business with the guarantee of having a valuable investment asset. This project is definitely considered among the best, well-established industrial complexes in a growing area of Singapore establish with all advanced features. A professional and high basic way of working can be loved here. Guarantees you accessibility and convenience amongst your on-the-go life-style, a great place to stay with an impressive chance to improve your life and place a good investment operating a business for yourself. Strategically located at the eastern region of Singapore conveniently connected to the Tampines Expressway (TPE) and East Coast Parkway (ECP). Pasir Ris MRT station is just a short walk away. Convenient transport facilities allow ease of employment, while productivity is improved by reducing employees’ travelling time, preventing tardiness and ensuring timeliness in meetings and deliveries. Within proximity to Downtown East, attending to your business travels has never been easier. Nearby Educational Institutions like White Sands Primary School, Pasir Ris Crest Secondary and Hai Sing Catholic School. The perfect place to improve your enterprise, together with the potential of being a valuable investment asset. Take a look at http://www.propertylaunch.biz/2014/03/loyang-enterprise-building.html for more details or connect to the marketing team at 6100 0877 for enquiries. See Industrial Property for the modern industrial properties in Singapore. Today, there have been 11 visitors (153 hits) on this page!